The Wildlife Photographer of the Year competition champions ethical wildlife photography, the faithful representation of the natural world, free from excessive digital adjustment, with honesty in all captioning, and with total regard for the welfare of the animals and their environment. Do not enter images of family pets or farm animals or cultivated plants. If you’re 17 years old or under, you may enter free of charge in the Young categories. 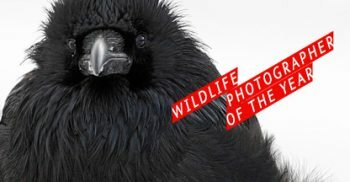 Each category winner shares part of a £30,000 prize fund, with £10,000 for the overall grand title of Wildlife Photographer of the Year, £1000 for all category winners, and £1500 for winners of special award categories. a trip to London to attend the exclusive awards night at the Natural History Museum. Awarded entrants will be notified Mid-May 2013. Online submission of digital photographs via the website. For printing in all media and for inclusion in the exhibition, a high resolution image (preferably TIFF) will be requested if your image reaches the Final Round of judging. Entrants aged 17 and under may enter up to 10 images FREE. Adult entrants may submit a total of 20 images. Up to 5 images can be entered into each category apart from the following special awards: entrants to the Wildlife Photojournalist Award must submit a photo story of 6 images; entrants to the Eric Hosking Portfolio Award must submit a portfolio of 6 to 10 images.